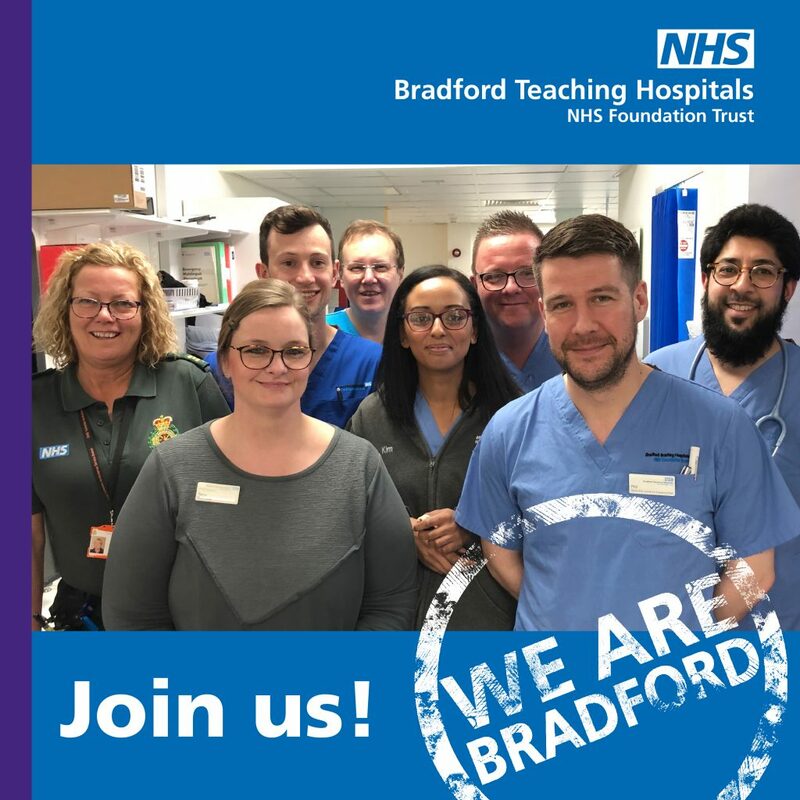 There’s never been a better time for nurses to start or progress their careers at Bradford Teaching Hospitals – so why not come and find out more at a recruitment open day on 6 April. The A&E department at Bradford Royal Infirmary (BRI) is expanding its team and wants to hear from nurses of all grades who are ready for a new challenge in the NHS. Bradford nurses are part of a strong team who care, support each other and take pride in caring for our community. With one of the fastest growing and busiest A&E departments in the country, Bradford Teaching Hospitals NHS Foundation Trust has plenty to offer nurses who want to develop their skills and have chance to really go places in their careers. 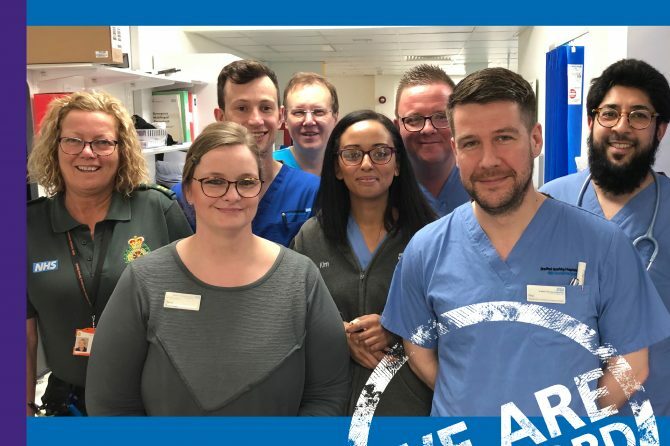 The Trust is making a major investment in its workforce for A&E and urgent care services to improve performance and give patients a better experience of coming to hospital. Most of the vacancies on offer are new posts to boost staffing levels in A&E and urgent care, and provide great opportunities for personal and professional development. The Trust is holding a recruitment open day on Saturday 6 April at Daisy Bank, opposite BRI on Duckworth Lane, so anyone interested can drop in and hear from the chief nurse, consultants and an A&E charge nurse who started their career as a healthcare assistant. Our Trust has many opportunities in nursing, offers structured education and support, can offer flexible working and the chance for ambitious people to shine. As an integrated care organisation we have great employment opportunities for all types of nurse, whether you are newly qualified, looking for a change of direction, relocating within the UK, looking for promotion or seeking to return to nursing. Newly qualified nurses can get their career off to a flying-start. As a major teaching hospital, we offer the opportunity to get solid experience in an environment that supports your development as a nurse, with a wide range of clinical areas to gain experience in. Experienced band five nurses will enjoy the challenge of working in Bradford and the strong and friendly team atmosphere that the Trust has. Bradford has a young, diverse population which brings a unique richness to your work. This makes for a great nursing experience, especially as we have a paediatric A&E. And our nurses are as diverse as the people they look after and our nursing family includes people from all over the world. All newly qualified nurses who join the Trust are enrolled in the preceptorship scheme which offers a carefully planned way to develop clinical skills with the guidance and support of experienced clinicians. The scheme includes one-to-one mentoring and further career advice is also available to help you plan for the future. Nurse development programme: following completion of the preceptorship period we offer a development programme from band 5 nurse in charge, through to band 6 and 7 leadership. This is a great way of developing those skills in a supportive organisation that cares for the development and growth of its staff.